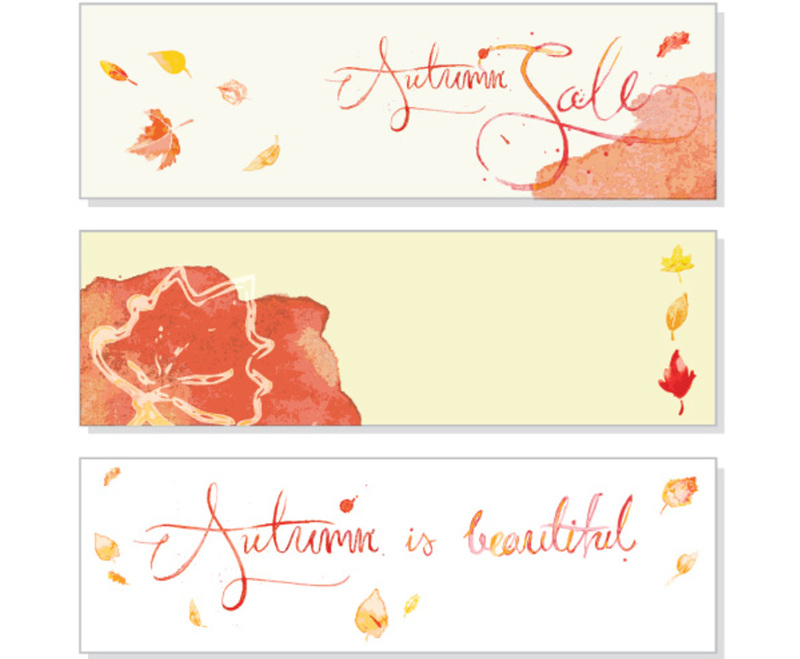 These autumn banners greet the changing seasons with a warm set of artistic designs. Each uses a watercolor aesthetic and a palette of gold, red, and yellow for a playful and inviting look. Two of the banners feature delicate painted text presented in a flowing series of cursive letters. Leaves scatter across each background. The center banner is subtle and organized with three leaves set to the side, clearly showing the progression of the fall season. These graphics are easy to customize, and they're gorgeously in sync with one another. They're excellent for promoting sales or other autumn events.